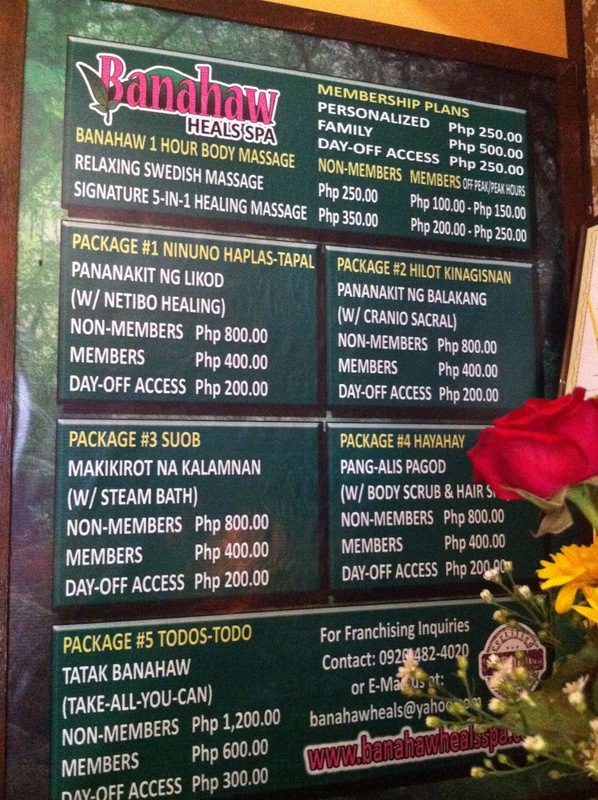 The Country's Famous Massage in CALABARZON now in Davao! I always delight at the thought of going to a spa for massage. It has become a great source of relaxation and a place where I can just lay and relax for a good 60-90 minutes. See, when your job entails sitting in front of the computer for about ten hours a day or more, and you’re not even sure if you have the proper sitting posture or not, you will soon learn to love the heavenly wonders of a satisfying and relaxing massage. 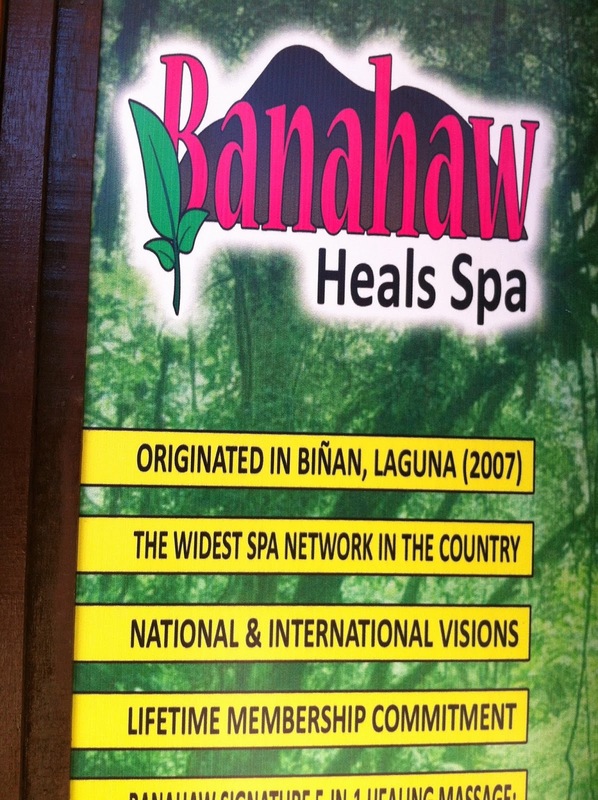 Recently, I was introduced to Banahaw Heals Spa. It is not stereotypical massage clinic that you can find in the metro. Looking at their interiors and ambiance, it is easy to notice that the place is nature-inspired. Their zen type motif is said to be scientifically combined to sooth senses in no time and I have to agree with that. Their main branch is in Laguna and they are still expanding their reach all over the country via franchising. What makes them different from other spa and massage places is their membership program. 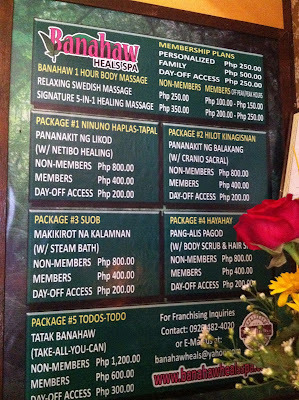 Members at Banahaw Heals Spa are entitled to 50% discount over non members on packages . They also receive special discounts on massage therapy which can be availed for only P100.00 on off-peak hours or P150.00 on peak hours for one (1) hour Swedish Massage. Members can avail of the members' discount from any Banahaw Heals Spa branch all over the country. Lifetime membership rates is Php 250 for personal and Php 500 for family. They have various massage packages that cater to client's preference but their famous healing massage package is the Signature 5-in1 Healing massage. 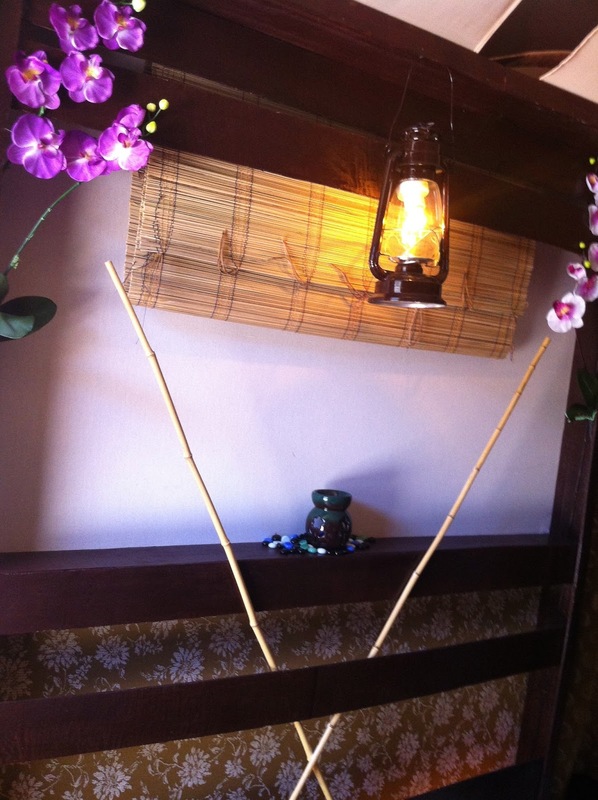 It combines the different massage methods such as Thai, Swedish, Hilot, Shiatsu, and Tuina. It must be nice to visit a spa once in a while, I never did (yet). Nevwer pa me na maka-experience ng spa treatment. Banahaw Hals Spa, lagi ko yang nadadaan papunta UPLB. omg! the prices are super cheap sis! I love spa's and massages! I always have a massage like foot, back or head or full body whenever i have time! SHould check their branch in laguna! I need that badly. Boy, when I visit the Philippines, I will probably have a massage every other night. God knows how I badly need a really good massage. I have never been to a spa, must be nice! That's what I need the most! Spa and massage! The last one was when I was still single, and that was 10 yrs ago! lol! I hope I can have that much needed massage soon! Sabi ko na nga ba eh familiar sakin ang Banahaw Heals Spa. Meron nga nyan dito samin sa Dasmarinas, Cavite but I can't remember the specific place. I will try this out. "Relax relax din pag may time" LOL! that's very nice, i always wanted to experience what's its like to be in a spa, something that i could remember even if i pay an amount of price. try the new Banahaw spa near Alabang Hills they just open last october 10 and their services are really good as well their therapist i enjoy going to that spa, the ambience is really quite and you can really relax. this is their fb account https://www.facebook.com/BanahawAlabangHills?ref=hl. My officemates and I enjoys the service since they are new they have a lot of freebies like free membership card.